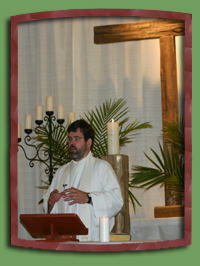 Many parts of our worship service stay the same each week. 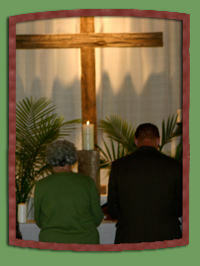 We remember the death and resurrection of Jesus Christ through the Lord's Supper. In this way we encounter God through Spirit, Word and Sacrament. To help our younger members feel welcome and learn to worship we offer some important tools: Children’s Church : For Sunday worship services all ages begin worship with their families. On first Sundays of the month, the whole family worships together for the whole service. 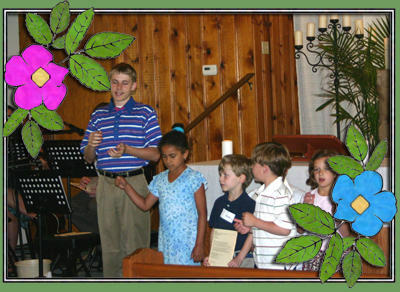 On the other Sundays we invite children ages 2-8 to come forward shortly after the worship has started. We pray a special prayer for them and send them out for an age appropriate Bible teaching. The children return after the sermon and rejoin their families for the rest of the service. 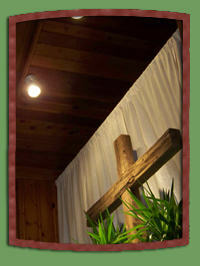 The “Cry Room” : Grace Church has a special room with a window that looks into the sanctuary and has sound piped in. We usually call it the “Cry Room” but the name does not cover all its uses. It is a good place for a parent to use with a fussy baby, to rock, feed, or change a diaper. It is also a place that a parent can take a child and feel more free to discuss what is happening in the worship service and to train them for life in the pews.